Have you heard of Poéthique? If you have not, it's time you hear about it! It's the labour of love of the founder, Gayatri Pradhan, who lives a life majorly dedicated to travel and guess what else — skincare! And through travelling, Gayatri has learnt the powerful beauty secrets of every culture, rooted in effective yet safe ingredients that could be found locally. 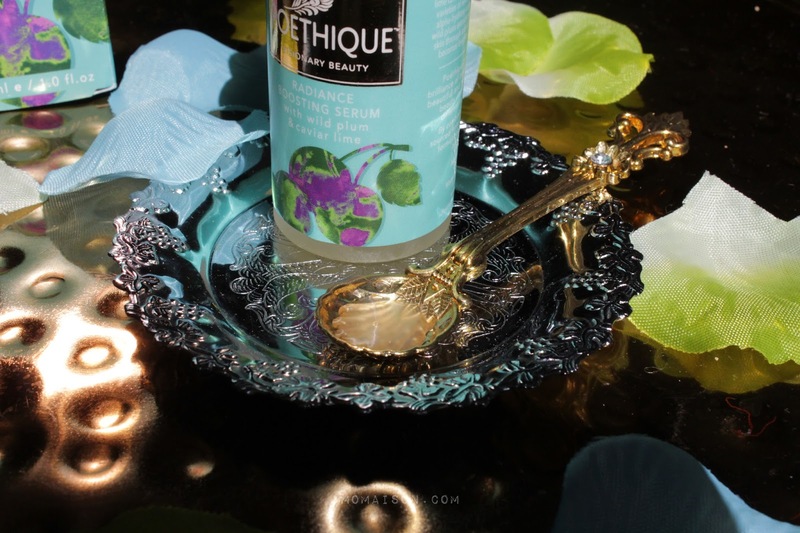 "Poéthique is the culmination of 3+ years of unbounded passion and effort to formulate luxurious 100% plant-based products." They use only unique ingredients which are sustainably sourced from diverse regions. 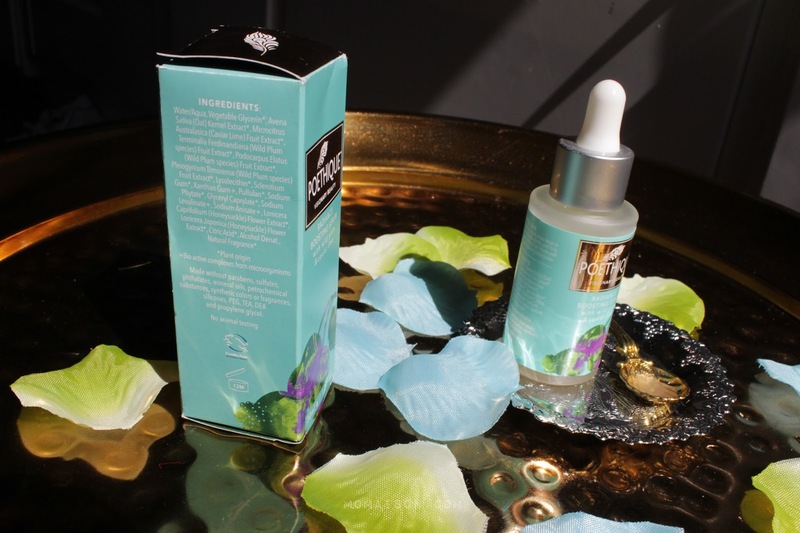 Here, I will be sharing my experience with their Radiance Boosting Serum, 'powered by caviar limes and 3 varieties of wild plum, sourced from the rainforests of Australia'. Take a look at the ingredients list! They're all either from plant origins or are bio-active complexes from microorganisms. No parabens, sulfates blah blah blah... you get the picture (literally ↓). I am using it myself and saying just 'I love it' is an understatement. 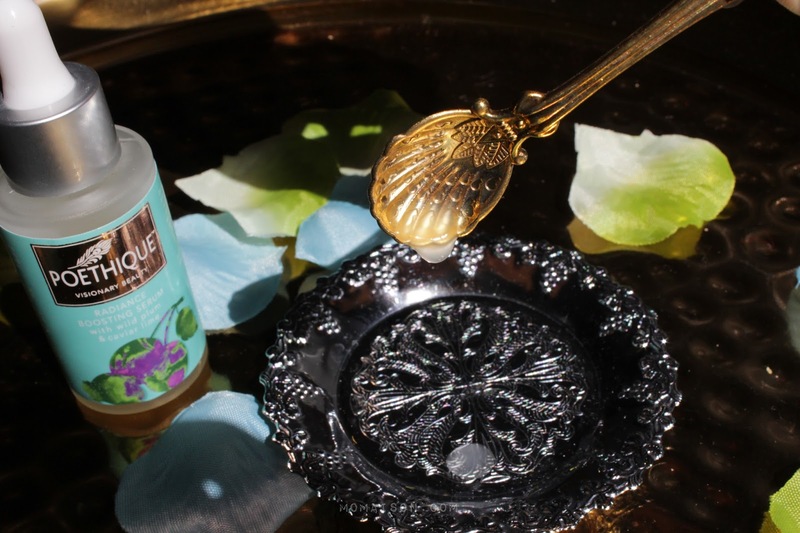 I usually only use it at night as I alternate skincare products and it glides onto my skin. It absorbs into the skin in possibly milliseconds! Very little serum is needed for my whole face and the front half of my neck. It doesn't feel greasy and in fact, feels really cooling and refreshing. I wake up with smooth skin and a slight rosy tint on my cheeks. I also have lesser acne breakouts! I absolutely love the consistency of it — it's more to the watery side but still has some thickness like it doesn't flow down a spoon as fast as water. Would I recommend you to buy it? For my readers, Poéthique is extending FREE GLOBAL SHIPPING with promo code FREESHIPPING. Import duties and taxes are not included and it will be collected upon delivery from the carriers for certain packages. These charges are recipient’s responsibility. You may check with your country’s customs office to determine what these additional costs will be. 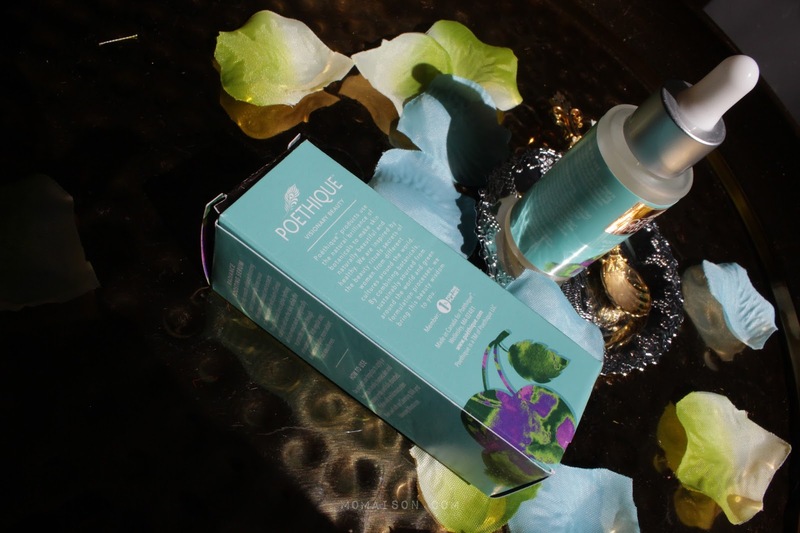 And I am also collaborating with Poéthique to give a full sized Radiance Boosting Serum worth USD 55 to ONE lucky winner! on Instagram 'I love Poéthique! (any emoji you like)"
And you're all set for a chance to win a bottle of Radiance Boosting Serum! on all my social media platforms on the 5th. Please note that spam accounts or accounts used solely for giveaways only will be disqualified. This giveaway has ended and the winner is Christy (@bent.done)! Congratulations and thank you to those who participated! There will be more giveaways coming up so do follow, subscribe or like to stay updated. This is a great post and great read. This product looks interesting. What a great giveaway. 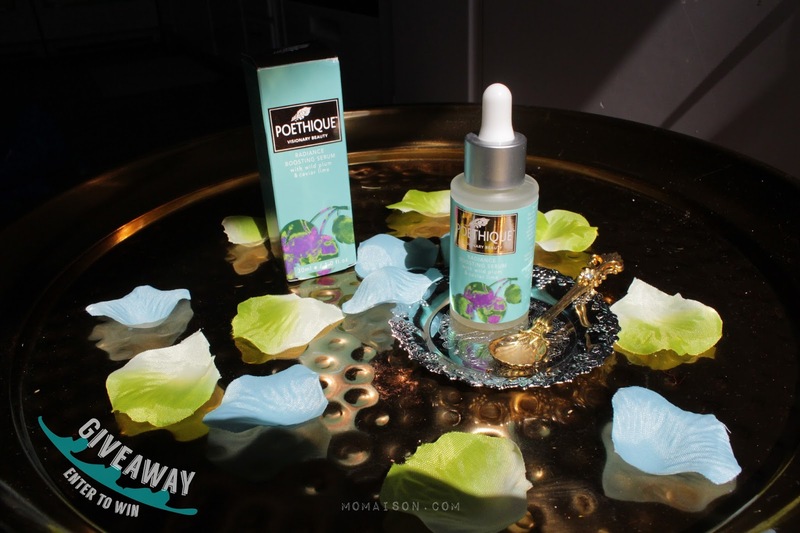 This serum seems like heaven! I'v e tried many different products and I always like to try some new ones so I'll check them out for sure and take advantage of that free shipping code! This sounds like an amazing serum and love that this is cruelty-free. I am into skin care and serum is a huge part of my regime. I already commented on this, but I don't know and what happened!! I would love to try this product! I think it looks amazing! I love serums! What a fab giveaway! I'm going to head to your instagram now to check that out too. Are you on Twitter? I love your blog theme and I'm unsure how I haven't come across you before. Yes I am, but I'm not very active on there (@ficklerebecca). Thank you! I love your blog too!